"Jab We Met Shahid, hum Deewane Hue Paagal. Hue Fida on his Taal-e-dance, hue shikar of his Kaminey looks. We became Fool & Final in the hopes that one day, hum Milenge Milenge! And Chance Pe Dance maarke he fixed his Vivah. What a Badmaash Company they are! Well, it’s Kismat Konnection. While Teri Meri Kahaani is sad, Mira’s is happy, so her Dil Bole Hadippa. Vaah, Life Ho Toh Aisi!" Since there is very little that we heart broken fans can do, let’s wish them all the luck in life. Let’s admit that we all are extremely keen and interested in knowing the little details of his life. In that case, the next thing forward is, 'where will he go for his honeymoon?' Good question! We all know that the media and the fans create rumours and it becomes difficult to differentiate reality from rumour. Many say that he is tied with prior commitments, hence will have to postpone his honeymoon. Others say that this way he can divert the attention and go on a peaceful honeymoon. Well, when the world is busy digging into the details, here’s few suggestions that we give Shahid for his honeymoon destination. There are lot of speculations that they would go to Switzerland for their honeymoon. Like I said, you can never tell if it’s a rumor or a reality. Nevertheless, it would be a great place for them to be. The couple can Go Ghoomne to the beautiful places in Switzerland and add flavour to their honeymoon. Switzerland gratifies honeymooners as an ideal place to spend the first few days of marital bliss. Venice is an enchanting land, where love blooms. Shahid being the lover boy of bollywood can woo Mira the bollywood way amidst the picturesque landscape of Venice. The famous romantic Gondola ride will spice their romance the dramatic way. The couple can charter their own romantic stories on this surreal journey. Spain, the most romantically vibrant and passionate honeymoon destination in Europe will pour love on the couple. 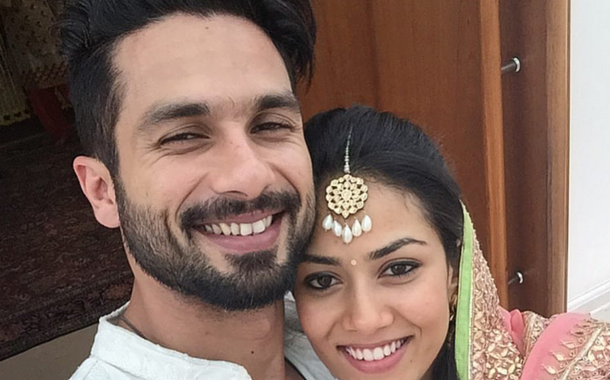 Shahid and Mira can walk hand-in-hand through the cobbled roads of Spain. Shahid being the dance king, can indulge in the famous Spanish dance form, Flamenco with his lady love. This looks like the perfect place for Shahid and Mira. It is away from the citylife and close to nature, just the way Shahid likes it. Given the stardom he holds, he does need to find an isolated place so that he can honeymoon in peace. Maldives, a tropical paradise that boasts of lush islands, white sandy beaches, clear blue waters, makes for the perfect romantic honeymoon any couple would want to experience. While Shahid has managed to make us fall in love with the idea of love, we suggest, he should experience the same in his real life as well. Being a Bollywood star, he must enjoy the beauty of the place the bollywood way. These islands are the best spots for them to behold the sunset, in each other's embrace. They can enjoy their honeymoon in peace and their love will blossom in the isolated islands of Andaman and Nicobar. With our Andaman tour packages you too can enjoy the white sandy beaches with your loved one. Shahid is not the only celebrity planning his Honeymoon, check out where some of these other celebrities went for their Honeymoons.